We won. 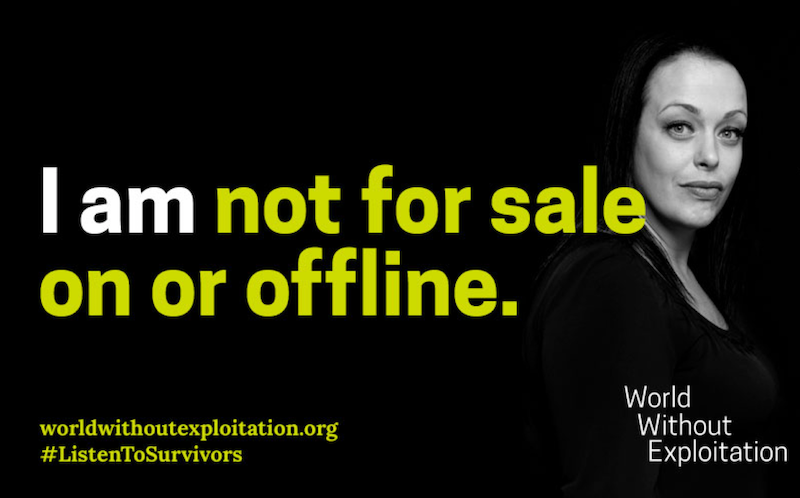 Time to thank your Senators for acting to stop online trafficking. SESTA passed the Senate today with a 97-2 vote. The FOSTA-SESTA package previously passed the Hour 388-25. There are a lot of people in Congress to thank for their support of this landmark legislation, that amends Section 230 of the CDA so that websites that knowingly facilitate trafficking can be held accountable for their actions. Once the law is signed by the president, there will be remedies for survivors and law enforcement to curtail online trafficking. And yet, even at the moment of our success, the opposition continues to make noise with their ill-informed objections to the legislation. That's why we believe it's important that we let our Senators know that we know they did the right thing, and show our appreciation. Please call and tweet your thanks, particularly to Senators Blumenthal and Portman. Share this page with your friends and followers. We need them to get involved! The more voices that are heard, the more minds we can change. Show your support for the FOSTA+SESTA package. Every signature we get will show Congress how important it is that we give victims a pathway to justice against websites that knowingly facilitate human trafficking.